Diana Alli has held many distinguished positions at the Faculty of Medicine and University of Toronto for the past 38 years as: Senior Officer, Service Learning, Community Partnership and Student Life, Coordinator and Business Officer, Admissions Officer, Awards Officer and UofT Diversity representative nationally. She has left her indelible mark through her tireless contributions in enhancing the student experience in numerous Faculty of Medicine programs. A passionate trailblazer on Social Responsibility, Diana has founded and co-founded over 21 outreach programs in the Faculty of Medicine serving underrepresented and marginalized populations in the Greater Toronto community, from mentoring and tutoring, to assistance for the homeless and isolated seniors. Diana's vision of making her difference led her to spearhead global scale benefit concerts through the University of Toronto International Health Program (UTIHP) and Medical Society – including Earthtones and Rhythms and Dance raising tens of thousands of dollars for destitute children around the world. Through Books with Wings and UofTsGotTalents Benefit Concert, medical textbooks have filled libraries in war-torn and developing countries such as Afghanistan, Sri Lanka, Kenya, Ethiopia and Indigenous Southwestern Library on behalf of former Lft. Governor James Bartleman Program. Diana has served on numerous Board of Directors including Governing Council for six years, Nelson Mandela Children’s Fund (Canada), Build our Wealth, Change Your Future (Learning Partnership Canada), Woodgreen Community Service, and University task forces and committees. She is the recipient of multitude of awards including: more than ten medical school graduation awards given to her by medical students for role-modelling, compassion and excelling the students experience; U of T’s Centre for Health Promotion individual award for her passion, dedication and long years of commitment in serving the physical, mental, emotional and spiritual needs of students on campus as well as the larger Toronto community for the past 30 years; and the 2001 UofT Chancellor’s Award for outstanding contributions by an administrative staff member, and co-recipient of the Faculty of Medicine’s Aikins esteemed teaching award. For her concern for the welfare of students and her dedication to student life evident in her contributions as a member of the Governing Council, Diana received UofT’s most prestigious Arbor Alumni Award. During her six years on the council, she served on several committees including the University Affairs Board, elections committee, and executive board.Diana has also been recognized locally by many community organizations and nationally by AAMC Northeast Group on Student Affairs for student advocacy. She is the recipient of the prestigious the Order of Ontario, and the 2012 Queen Elizabeth II Diamond Jubilee Medal. The Canadian medical students established The Clinician Investigator Trainee Association of Canada (CITAC) "Diana Alli Community Service Award" available to MD-PhD students nationwide, will be given to a student demonstrating outstanding community service, in recognition of the "national and global impact" she has had over the course of her distinguished career. University of Toronto’s undergraduate medical students MedSoc also established the Diana Alli Award in recognition of the enormous contributions she has made to student life for medical students and to the broader community through initiatives including the Summer Mentorship Program, Earthtones, and University of Toronto International Health Programs. The award will be presented annually to the graduating medical student who demonstrates a commitment to enhancing student life and community outreach throughout all four years of undergraduate medical education. Diana retired after serving the University of Toronto for almost four decades. Her continued interest in altruism and social responsibility has led her to inspire youth and engage our elderly, globally, through “Access Empowerment Council”. Leslie McCue is Mississauga Ojibway from Curve Lake First Nation, currently living and working in Toronto. Leslie is an arts administrator, artist, performer, orator and educator who over the years has fought for Indigenous rights by breaking stereotypes and raising cultural awareness. Her work is driven by her past, passion to educate and the motivation to empower others. A true artist, Leslie has been working through various mediums to convey her message such as, traditional dance, performance, film and video production, writing, sound art, theatre, design, mixed media, and arts administration. Currently Leslie has been taking some time to focus on her art, assisting in the making of AskiBOYZ, a television series that will air on Aboriginal People Television Network in 2014. Leslie is the Production Coordinator and Associate for the series that is moving into its second season this summer. In Addition to this, her sound art was recently commission as part of ImagineNATIVE Film Festival, as an installation featured in the A Space Gallery in Toronto ON, from September through October 2013. With multiple new projects on the horizon, Leslie is no stranger to commitment of a collaborative vision, recently completing her contract as the General Manager for ANDPVA, The Association for Native Development in the Performing and Visual Arts, an organization she was with since 2009. Leslie helped to strengthen and maintain the Indigenous arts sector for artists both locally and nationally, while working with Canada's oldest Indigenous service organization. Leslie has been asked to perform and speak at many venues across North America and Europe, some highlights include: The Vancouver Winter Olympics Athletes Village and Pavillions (British Columbia), Museum of Civilization (Quebec), Vrije Universiteit Amsterdam (Holland), Juno Beach Museum (France), and in 2014 as Keynote for the Toronto District School Board Student Education Conference. She is now excited to be able to put her skills and knowledge towards the future success of the Access Empowerment Council and being a part of such a diverse and engaged group. Leslie is full steam ahead with no end in sight. Ida-maisie is a fourth-year Pharmacy student at the University of Toronto. She has a strong passion for community outreach, and has been involved with many initiatives to promote health and education in her local community. She coordinated the University of Toronto Summer Mentorship Program in the Health Sciences (SMP) for two years. Since having participated in the program in 2007, she has been actively involved with the program to help inspire and motivate other high school students to pursue post-secondary education and a career in the health professions. She currently serves on the SMP advisory board with renowned members of the different health professional faculties at the University of Toronto. In September 2011, she co- founded the Summer Mentorship Program Alumni Society (SMPAS) to create a community that will unite and engage students and alumni of the SMP. SMPAS aims to encourage and promote a multicultural society where race, religion and language would not interfere with one’s aspiration to succeed. Currently the Community Outreach Director, Ida organizes events that address social and health issues in the community. She is currently working with the Canadian Diabetes Association to create a monthly support group session that would follow each workshop, to ensure that the participants obtain ongoing support in self-managing their condition. Jenna believes that higher education and caring for communities can change lives for the better, both in and out of school. Having spent time in Tanzania, East Africa, Jenna had the unique opportunity to work with young children and orphans at the Jambiani Village School and the Kurasini Orphanage, teaching literacy and healthy living. Jenna also served in her high school community as President of the Social Justice Club, Editor-in-Chief of the school newspaper, a Representative on the Student Council, and as a representative for her school’s Free the Children chapter, Mosaic Institute and the Canadian Centre for Diversity. Jenna believes that she can be a catalyst for change. She is currently completing her fourth year in an honours undergraduate degree in Health Sciences at the University of Western Ontario. She has been published as a researcher with the endocrinology unit at Mount Sinai Hospital, in Toronto, and has worked closely with the London and Middlesex Local Immigration Partnership, to empower newcomers to Canada and battle the stigma towards mental health issues. With the goal of pursuing a career in Speech-Language Pathology, Jenna dedicates her weekends volunteering to help young children achieve their communication and social goals. More recently, Jenna has accepted a position in the complex care unit for speech-language pathology at St. Joseph’s Hospital in London, Ontario. Jenna is a recipient of the University of Toronto National Book Award, the Peel District School Board Award of Distinction, the Canadian Federation of University Women (Brampton) Scholarship, and a three-time winner of the Foresters Competitive Scholarship. Jenna currently serves as the Vice-President of Communications for her faculty student council and continues to remain involved in her community, lending a helping hand, and sharing her passion for social justice with people and communities in need. Rashi is a recent graduate from the University of Toronto Scarborough. She received an honours BA in Health Studies and Anthropology. She has been actively involved in the UofT community through the University of Toronto International Health Program, Juxtaposition Global Health Magazine and Toronto Thinks. She is the co-founder of the Population Health and Policy Conference, the first successful health based conference to come out of the University of Toronto Scarborough. She was also president of her Departmental Student Association. She is the recipient of the Principal’s Award the Letter Award and the SCSU Presidents Award for demonstrating outstanding leadership and enthusiasm through involvement in student interests and who actively contributed to the overall enjoyment of student life. Rashi strongly believes that the next wave of health care deliverables is through marketing and social media campaigns that effectively focus on the social determinants of health. She is currently exploring this intersection with her roles as Healthy Minds Canada's Bell Let's Talk National Campaign Coordinator and advisory member for the Heart-to-Heart committee for the Alliance for South Asian AIDS Prevention (ASAAP). She is also passionate about food insecurity specifically in the Indigenous Community and wants to explore this further in the future. Sumiya is an undergraduate student at McMaster University, pursuing a degree in Honours Life Sciences with a double minor in Biochemistry and Environmental Science. She has had the opportunity to participate in numerous volunteer projects, working alongside children, adults and the elderly. In high school, Sumiya delivered speeches to the student body, alongside the Toronto Argonauts, on behalf of the Anti-Bullying Society and The Kids Help Phone. Sumiya was recognized for being a part of the Abuse against Elders Project and also a part of Marketing and Event-Planning team in her high school’s Social Justice Club. During her university career, Sumiya has volunteered as a student medical assistant and translator at the Cardiology, Endocrinology, Obsterics & Gynaecology Units at Mount Sinai Hospital. She currently is a volunteer at McMaster Children’s Hospital, where she provides patient and family support in the Eating Disorders Unit. 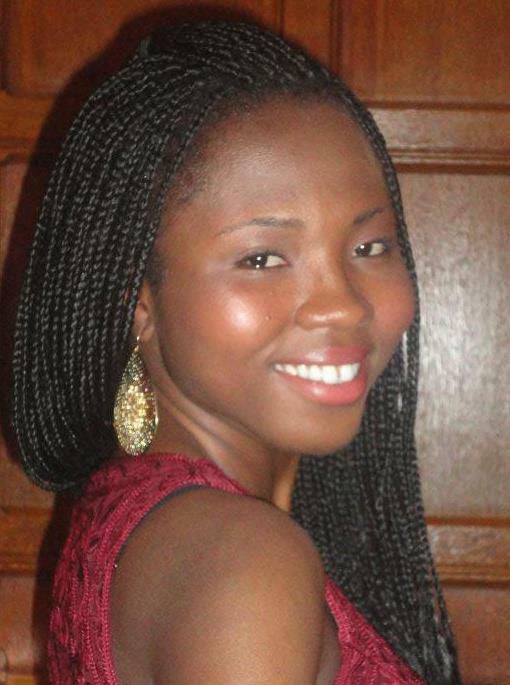 Sumiya is also currently involved in research involving Paediatrics and Epidemiology & Biostatistics. She is currently working on a thesis where she is investigating genetic and environmental factors that contribute to a predisposition in obesity. She hopes to merge her volunteer and research experience in developing various healthcare programs for youth interested in pursuing a career in patient care. In fact, Sumiya has spent some time working alongside youth transitioning into university, and developing education and career plans as a Peer Mentor. She is currently working with professors on limiting the communication gap between students and faculty members, while bettering the university experience for first year students. Sumiya is a strong believer of accessible and limitless global healthcare; therefore she has worked alongside a team of McMaster students to establish Watsi McMaster - a non-profit organization that creates a platform to raise awareness and funds for health care initiatives globally. She is extremely passionate about healthcare and social justice and aspires to pursue a career in a field that incorporates these passions with volunteerism. Gaurav always wanted to make a difference through community involvement and started his journey in India, working with underprivileged children providing them education and healthy living skills. He served as the president of an association responsible for construction of an orphanage that now serves 40 homeless kids. He was the lead volunteer in fundraising and PR activities for the NGO. He was also actively involved with government agencies to abolish child labour, a prevalent practice in India. He continued his journey when he came to Canada for his MBA at Queen’s University. During the program, he worked with several not-for-profits based out of Kingston and Toronto. He helped them generate funds through government grants/private donations, attract volunteers and adopt technology to operate more efficiently. He has an undergraduate degree in Computers and has worked with companies like Apple, Sears and Qantas Airways in management and consulting roles. He wants to use his technology background and business education in making the world a better place.